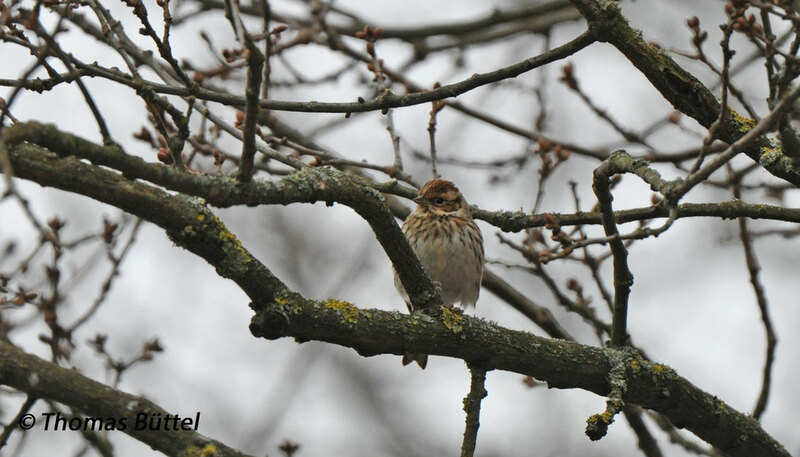 Last week a Little Bunting was found in a suburb of the hessian city Fulda (about 20 km from the Bavarian/Franconian "border"). 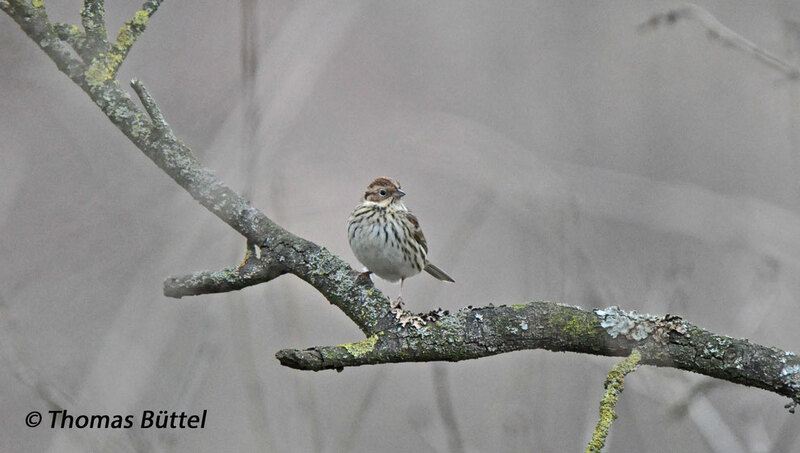 At first I couldn't believe it, but the record photo, that was later on added to the observation on ornitho.de, left no doubt anymore. What a find! 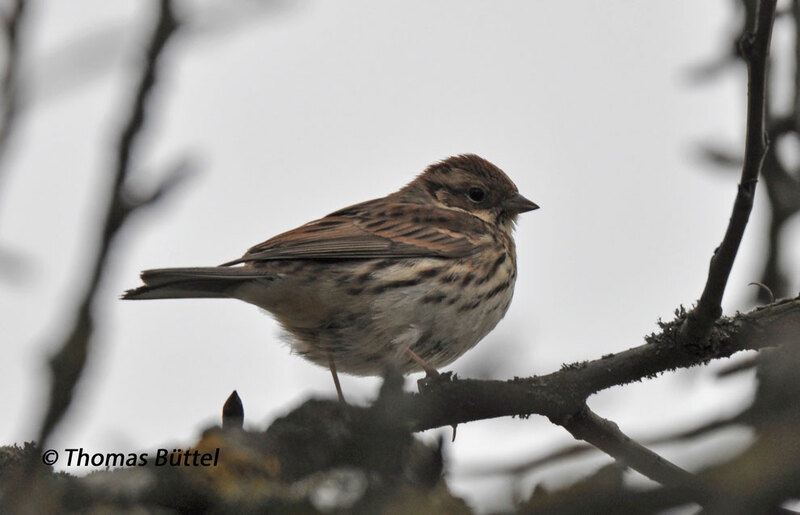 This sibirian bunting belongs to the "usual" autumnal rarities that are seen annually along the North Sea coast, especially on the rarity island Helgoland. However it is both remarkable that this individual has come so far inland and that it obviously stayed there the whole winter. Anyway, as the bird was just a 1,5 hours drive away, I couldn't resist the temptation and tried my luck today. Who knows when the next will come so close to my home. When I arrived this morning on site, the skies were overcast and the light was dull, but at least it stayed dry. The bunting had been seen over the last days in private gardens on the edge of the suburb, so I started my search right there. This proved to be a good tactic, as it took no longer than 30 minutes until I spotted the inconspicuous bird sitting in a tree. All in all a really uncomplicated twitch rounded off by a set of record shots.